Classical model Loubotin, the Pigalle, so named in honor of Christian Louboutin red light district in Paris, recognized as the most coveted pair in the world: a curved strip, a neat narrow nose, the red sole and 12-cm heel. „In good shoes feel like dancing, live, move! If you feel otherwise, throw out shoes without regret, „said Manolo Blahnik, and we readily believe him. 73-year-old designer for over 40 years with great care and thoroughness makes shoes not only for its own brand, but also for the many well-known fashion houses. Manolo Blahnik Shoes repeatedly received the most prestigious awards in the world of fashion, including a special award from Balenciaga (1988), Nieman Marcus Award (2000) and personal recognition of the King of Spain Juan Carlos I.
Cult two-tone pumps invented by Coco Chanel, have a number of advantages: first, black toe visually shorten the foot, while the neutral beige color boats visually pulls the leg, and secondly, not much to complain studs included in the fashion of Chanel decided that the most convenient and elegant for this model will be an average heel height of 5-6 cm, which, of course, makes these shoes are suitable even for a busy day, you’re going to spend „on your feet“. 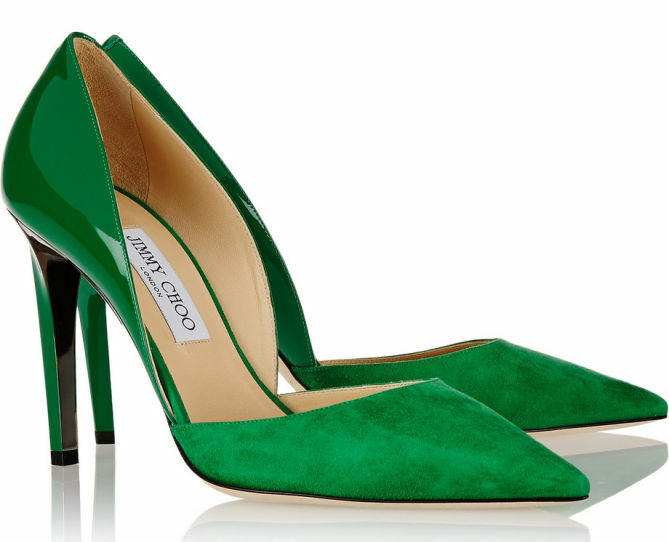 Famous Malaysian designer born into a family of shoemakers, so his future life was preordained – first pair of Jimmy Choo shoes made in 11 years. In 1986, Choo started his own business by renting an old building in London hospital where gradually gathered the necessary equipment for the production of footwear. 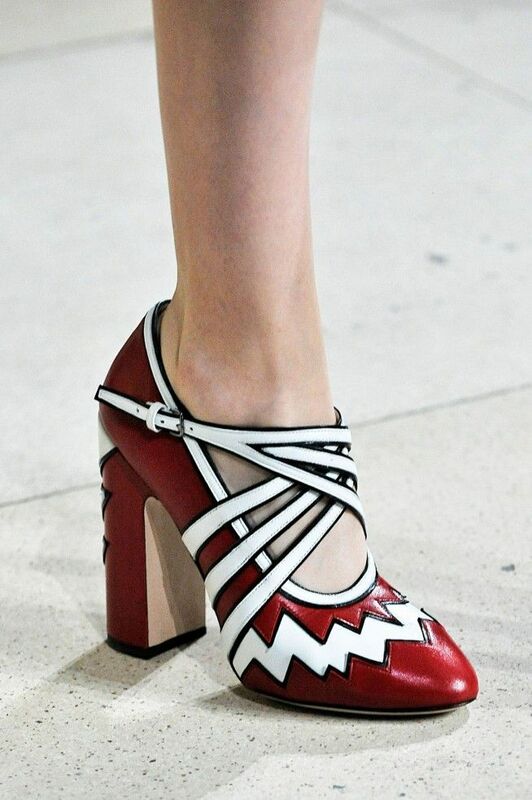 The brand was created in 1993 thanks to Miuccia Prada, granddaughter of the founder of the Fashion house Prada. The name was a nickname Miuccia home. Miu Miu is focused on girls under 30 years, who prefer to experiment with clothes, did not want to wear classic things and love to combine seemingly incongruous colors, prints and textures. 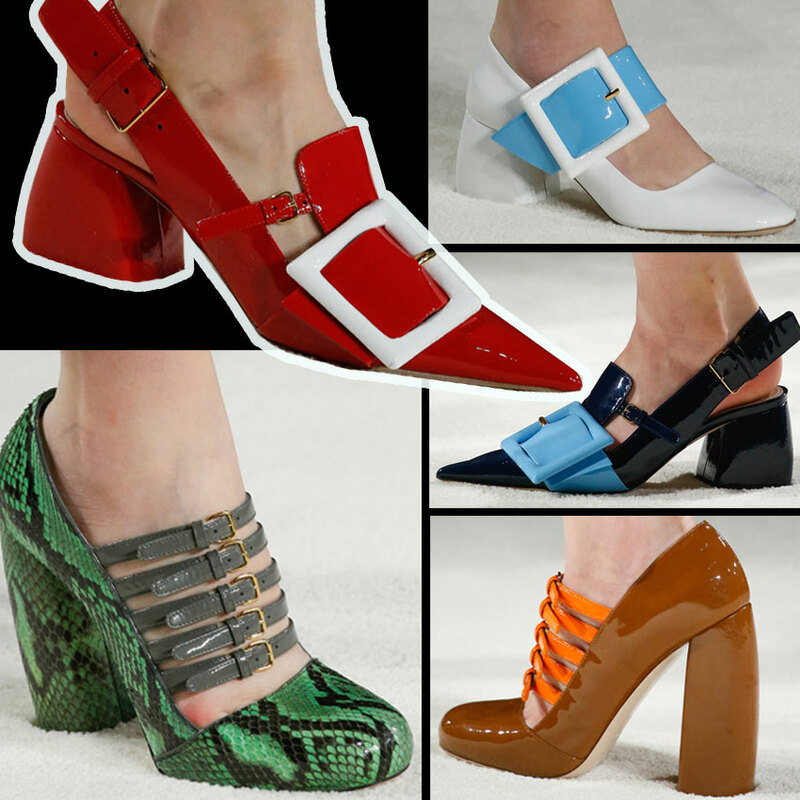 That’s why stylish Mary Jane shoes with a strap and a rounded toe, owes its name to the British comic book character «Buster Brown» – girl Mary Jane, who wore such a model, have won such a love. From Fine weightless shoes and heavy-duty models on the platform from the retro-charm to trendy experimentation – that’s what fans appreciate this brand! The most famous shoes with a buckle (patent leather, low heel, a large square buckle, rectangular socks) by Frenchman Roger Vivier, in the middle of the last century, decorated feet of fashionistas and film stars. The rebirth of the brand in 2002 when it became the art director Bruno Frison, previously collaborated c Trussardi and Givenchy. Классическая модель лубутенов, Pigalle, названная так Кристианом Лубутеном в честь района красных фонарей в Париже, признана самой желанной парой в мире: изогнутая колодка, аккуратный узкий нос, красная подошва и 12-сантиметровый каблук. Miu Miu ориентируется на девушек до 30 лет, которые предпочитают экспериментировать в одежде, не хотят носить классические вещи и любят сочетать несочетаемые на первый взгляд цвета, принты и фактуры. Именно поэтому стильные туфли Мэри Джейн, с ремешком и закругленным носком, обязанные своим названием героине английского комикса «Buster Brown» – девочке Мэри Джейн, которая носила такую модель, завоевали такую любовь. От изящных невесомых туфелек до тяжелых моделей на платформе, от ретро-очарования до ультрамодного экспериментаторства, – вот, что ценят поклонницы этого бренда! Самые знаменитые туфли с пряжкой (лаковая кожа, низкий каблук, крупная квадратная пряжка, прямоугольные носки), созданные французом Роже Вивье, в середине прошлого века украшали ножки всех модниц и кинодив. Второе рождение бренда в 2002 году, когда его арт-директором стал Бруно Фризони, до этого сотрудничавший c Trussardi и Givenchy.